Friction is a force that keeps objects that are touching each other from sliding past each other easily. Experiment how different surfaces exhibit varying levels of friction at Friction Science Clips. Different forces work together. 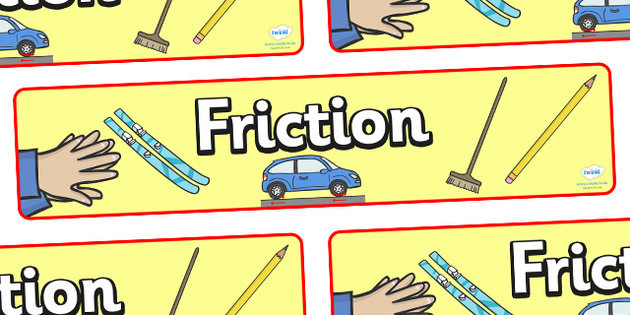 See how forces like gravity, friction, and weight work together by experimenting with Forces in Action. Help Twitch use simple machines to overcome Earth's different forces and build an important robot at Simple Machines. Rube Goldburg was a cartoonist who created complex sets of reactions to complete seemingly simple tasks. He understood the forces found on earth to create such devices. Different forces of motion are used to complete a Rube Goldburg machine. See if you can try your hand at completing a Rube Goldburg machine in ZOOMer's Rube Goldburg game. Then, make a Rube Goldburg machine of your own with Tom and Jerry.